Jack A. Khattar is the founder of Supernus Pharmaceuticals and has served as President and Chief Executive Officer and Director since 2005. From 1999 to 2005, Mr. Khattar served in various positions, including Board Member, President, and CEO of Shire Laboratories Inc., the drug delivery subsidiary of Shire plc. Prior to that, Mr. Khattar served as an Executive Officer and the Chairman of the Management Committee at CIMA, a drug delivery company that is currently a division of Cephalon. At CIMA, he was also responsible for business development, including the licensing of CIMA’s technologies, corporate alliances, and strategic planning. 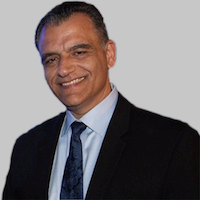 Prior to joining CIMA in 1995, Mr. Khattar held several marketing and business development positions at Merck & Co., Novartis, Playtex, and Kodak in various locations, including the United States, Europe, and the Middle East. He is currently a director of Rockville Economic Development Inc. Mr. Khattar earned his degrees in marketing, with a BBA from American University of Beirut and an MBA from the Wharton School of the University of Pennsylvania.